On our most recent trip to Africa, we missed out on an opportunity to visit Ethiopia and add one more stamp to our passports because we hadn’t yet received a yellow fever vaccination. As we sat in the transit lounge of the Addis Ababa airport, we were kicking ourselves for not having been more prepared. 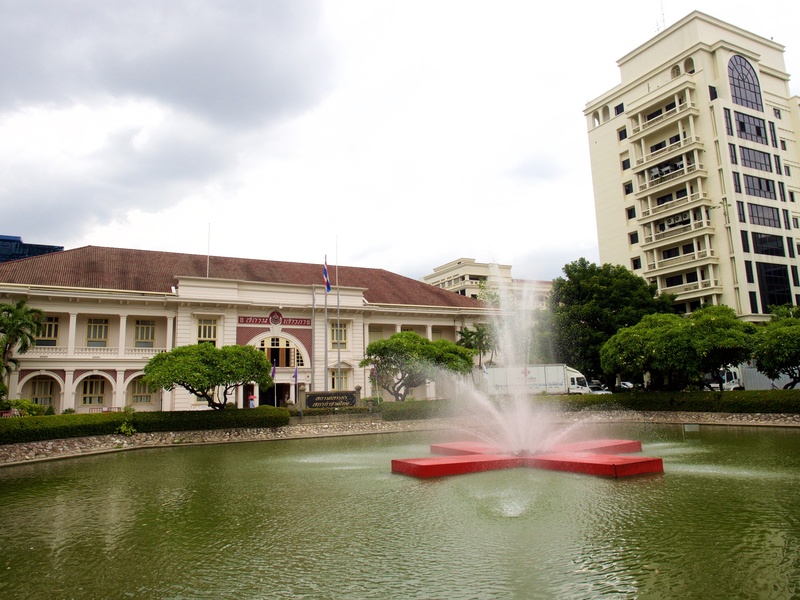 To be honest though, we did explore the option back home in Singapore, but refused to pay the $250 fee. 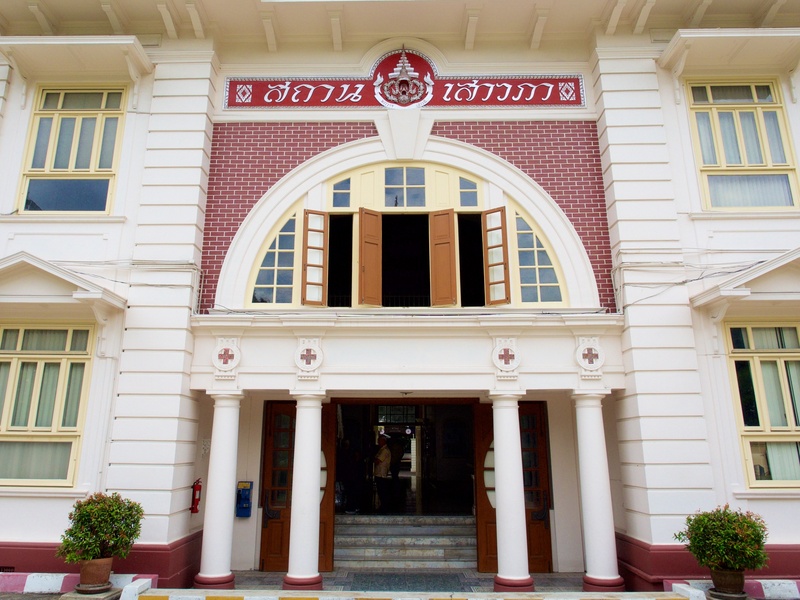 We knew we could get it cheaper somewhere, and we were absolutely right when we discovered how to get CHEAP and SAFE travel vaccines in Bangkok. 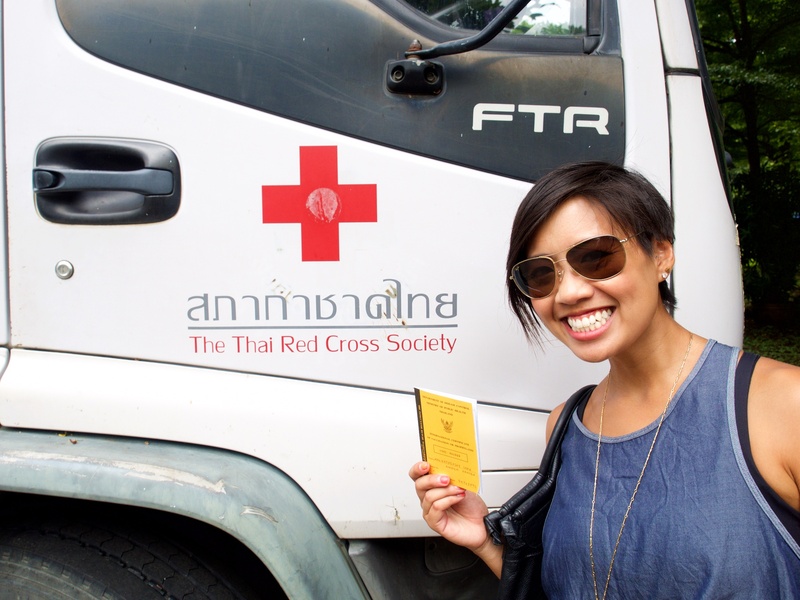 Whether you’re due for a booster shot, contemplating a trip to a yellow fever hot spot, or been putting off getting vaccinated for no good reason, getting some travel immunizations at the Thai Red Cross Society has got to be one of the easiest, cheapest, and safest places to do it. 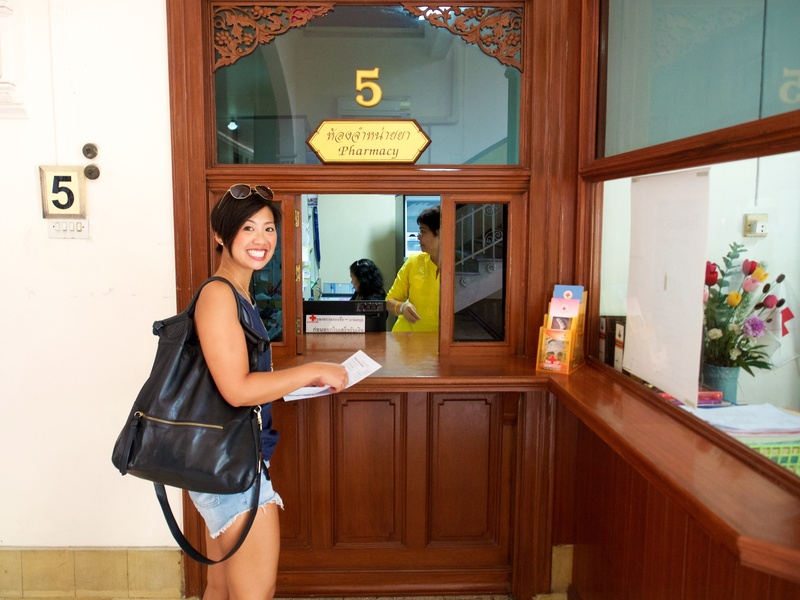 Follow these 5 steps the next time you’re in Bangkok, and you’ll be set for many more years of healthy globetrotting! 1. Find your way to the Red Cross / Snake Farm – Yes, you read that right…the Red Cross dubs as a snake farm in Bangkok, and this is the place for all of your travel vaccination and anti-venom needs. Note: There are many Red Cross buildings in the area. The red point on the map below is the exact location of where you need to go. 2. 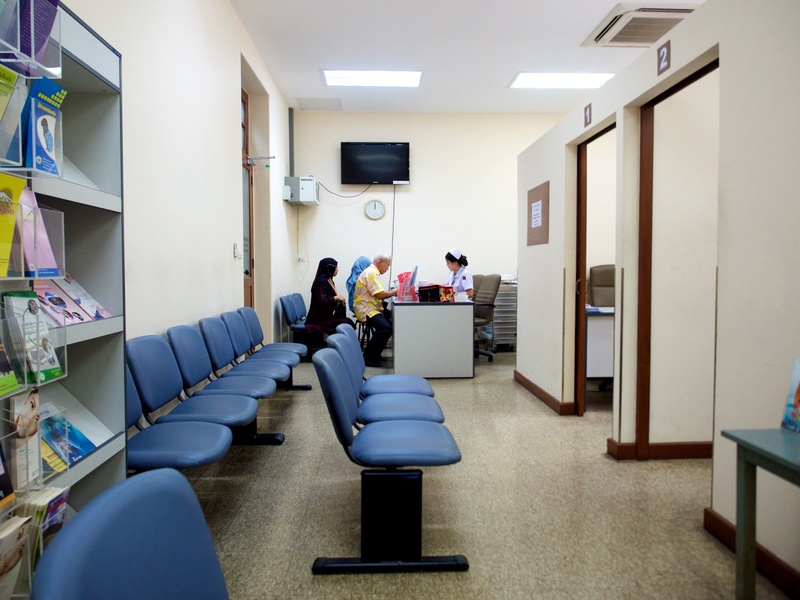 Visit Room 4: Immunization & Travel Clinic – Don’t be alarmed if the door is closed and several people are waiting outside. This is not a private consultation room. 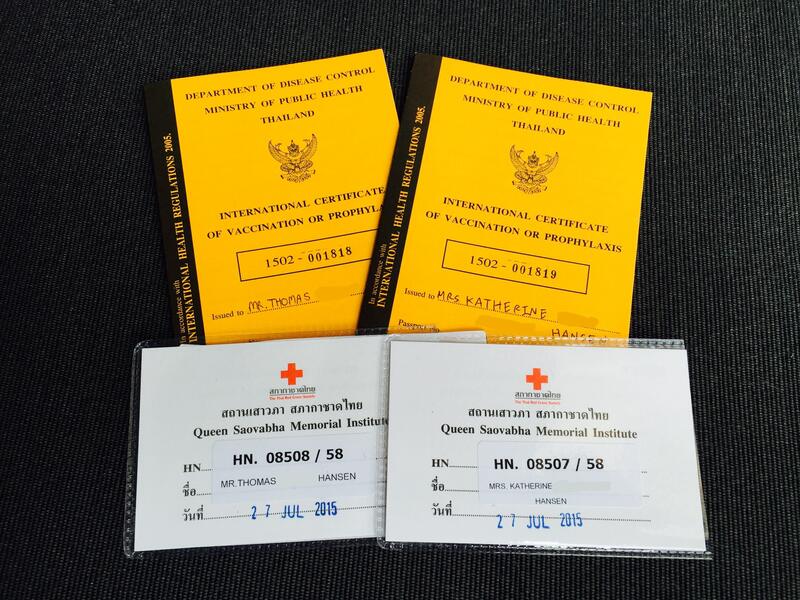 Enter Room 4, complete a few forms, show your passport, and pay the 20 THB fee to register as a patient. Done. 3. 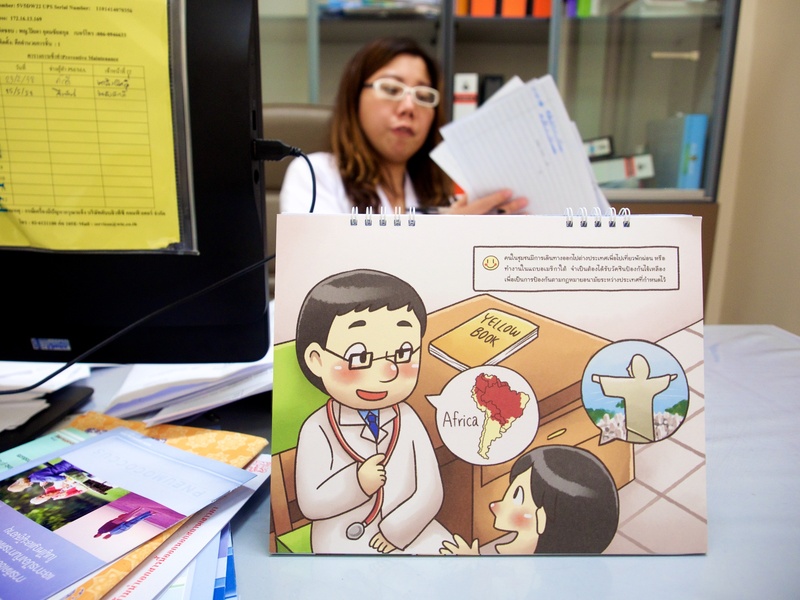 Have your vitals checked – After registering as a patient, you’ll be sent over to visit a nurse in a slightly stereotypical uniform, where she’ll check your blood pressure, measure your height and weight, and do a quick check to make sure you’re relatively healthy. 4. Get your prescription filled – If you’re deemed healthy enough to receive an immunization, you’ll be directed to another desk where you will “order” all of the vaccinations you need, including typhoid, yellow fever, rabies, influenza, and hepatitis A & B. Take your prescription to Counter 5 back in the main hall, and pay the requested fee for your vaccines. 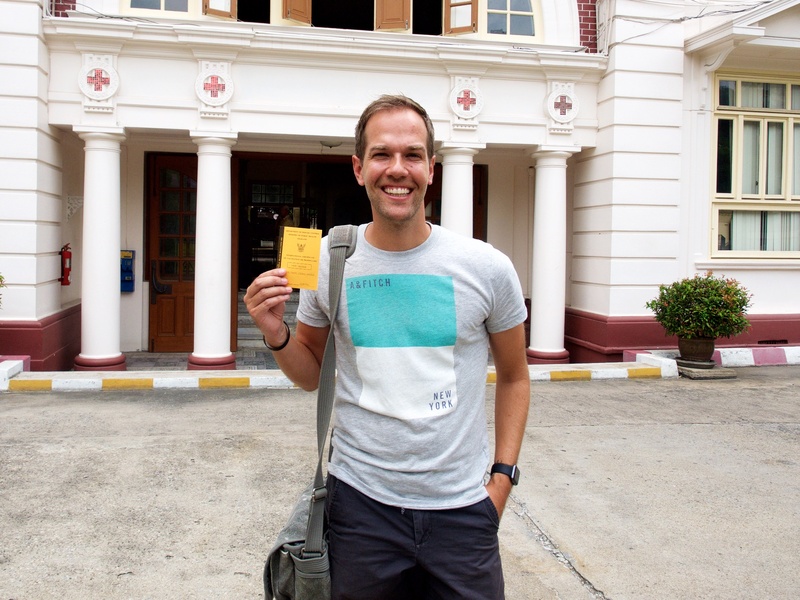 The Yellow Fever prescription we went for ran us 1000 THB ($40 SGD) each, compared to $250 SGD back in Singapore!! 5. 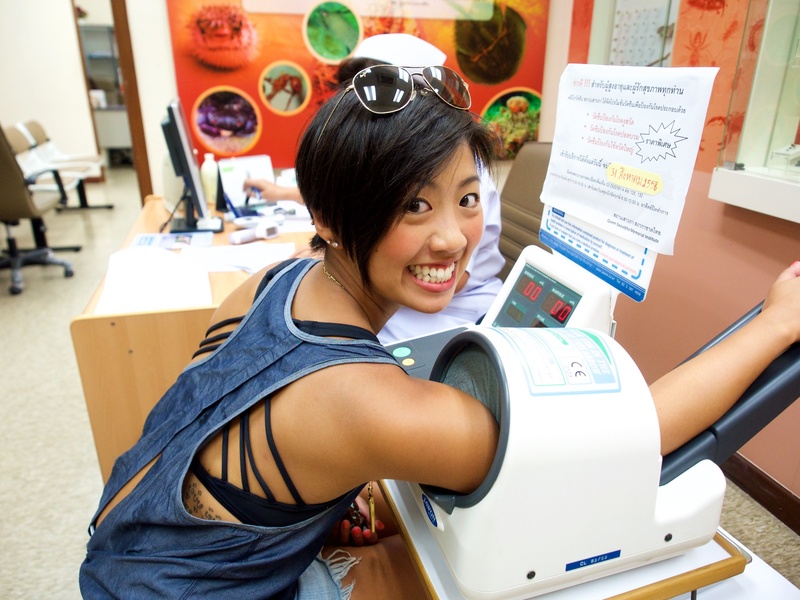 Vaccination time – Take your newly purchased vaccines back to the travel clinic (Room 4) and get injected. Wait the recommended 15-30 minutes to be sure you have no adverse reactions, and you’re done! ← Win FREE Entry into the 2015 Singapore Spartan Race!! 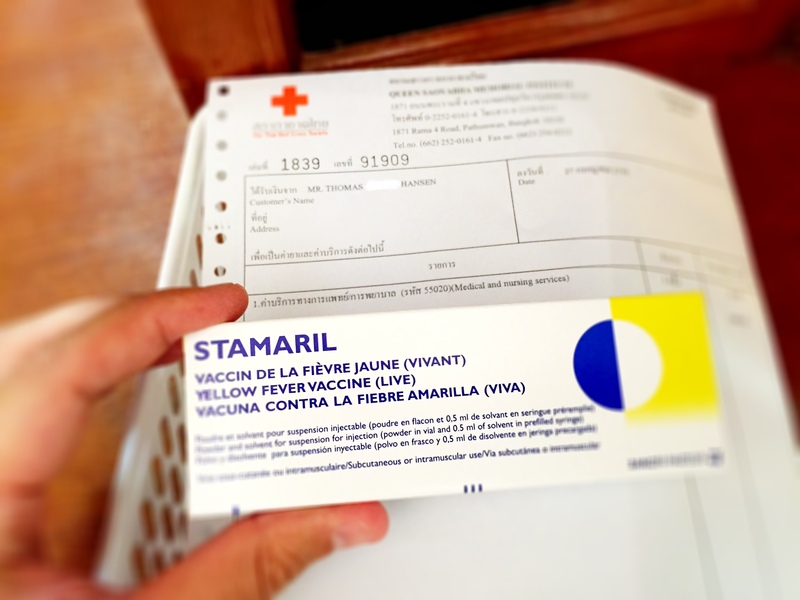 Hi, for taking yellow fever vaccination at Thai Red Cross, do I need to make an appointment before going to the clinic? Also, do they accept credit card payment? No appointment necessary. You can definitely was right in. 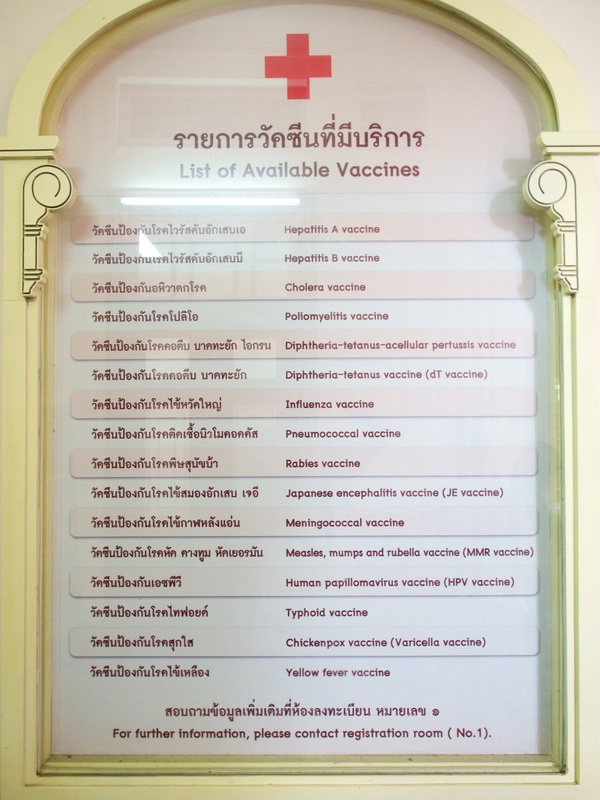 Not sure about using credit cards, but the yellow fever vaccine is only 1000 baht, so it’s doesn’t cost very much at all. Let us know how your experience is!